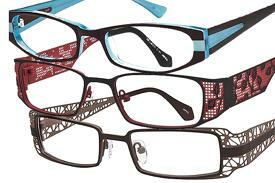 This fine collections consist of titanium, stainless steel and the most unique colors in acetate. We have some of the newest shapes and colors from the Bellagio collections. This unique and extremely personal frame line is an impressive collections of fashion forward frames and designer eyewear.